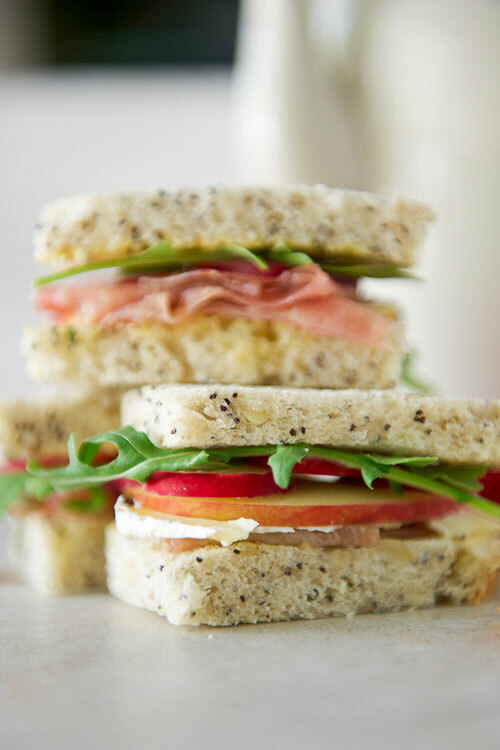 Tea sandwiches are bite-sized, usually crustless sandwiches that are served during afternoon tea. 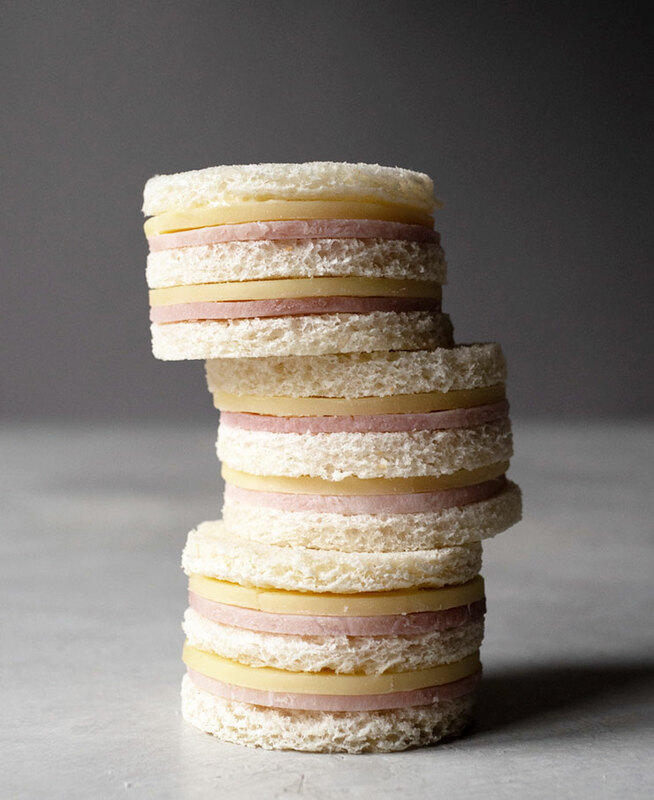 They’re to be eaten with your hands and are also known as finger sandwiches. 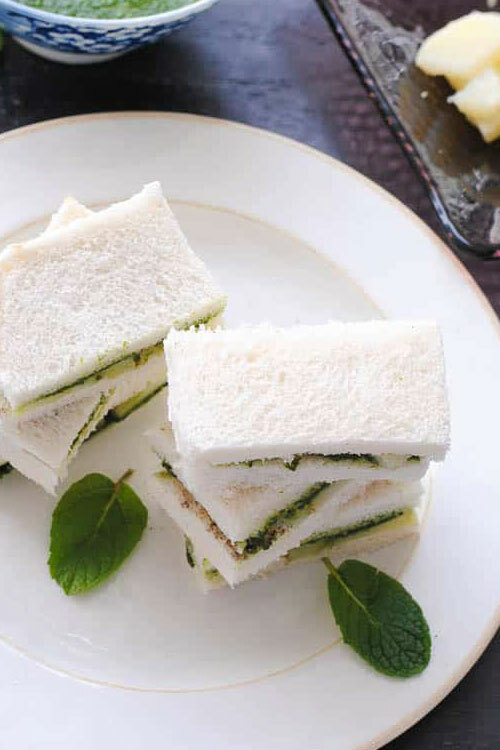 Because they’re small and easy to eat with your hands, tea sandwiches are great finger foods to serve at baby or bridal showers. The fancier the afternoon tea service, the fancier the presentation. 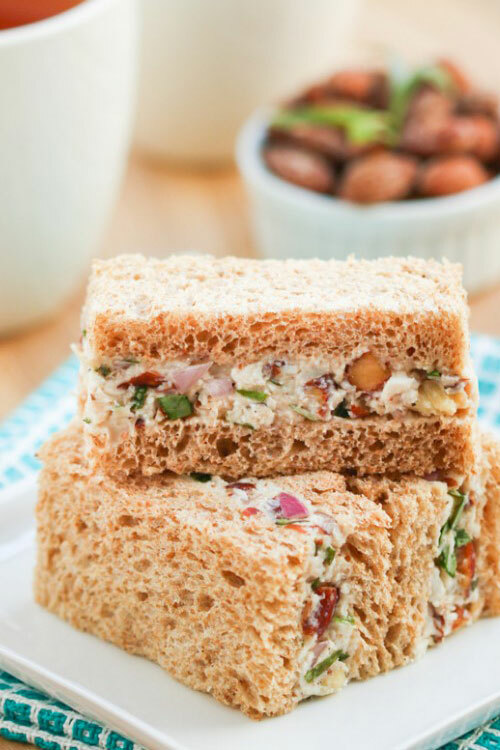 The sandwich fillings can usually be prepped a day or two before. 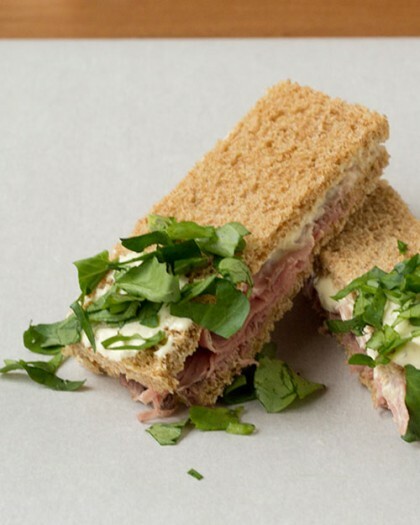 Assemble the sandwiches the night before and cover with wax paper then a damp paper towel in an airtight container. This will keep the sandwiches fresh overnight without drying out the bread. To keep the sandwiches from becoming soggy, make sure that there is a layer of mayonnaise or butter on the side that is touching the filling. 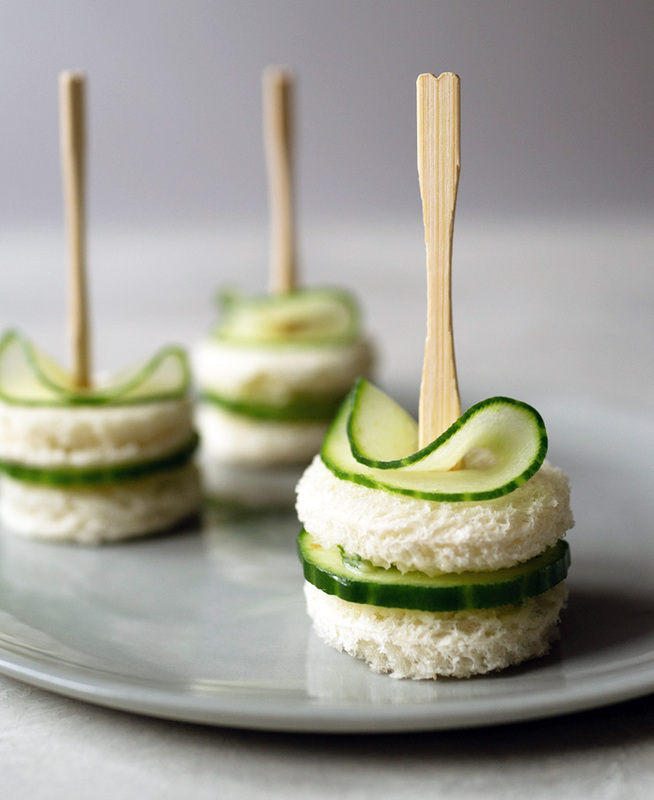 Cucumber sandwiches are the trickiest to keep fresh so I would recommend assembling the day of. How Many Tea Sandwiches Per Person? 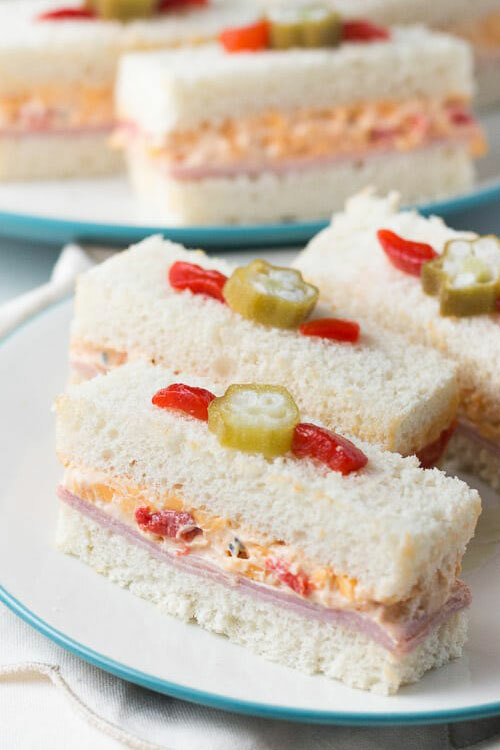 For each person attending your afternoon tea party, prepare 3-4 tea sandwiches. Serve with scones with clotted cream and jam and 3-4 bite-sized sweets so they don’t leave hungry. I’ve tried many times to cut tea sandwiches as neatly and uniformly as possible, but I’ve found that using cookie cutters (rectangular or circular) is a great trick to make them look perfect. If you’re cutting sandwiches with a knife, cold sandwiches cut better than room temperature sandwiches. Traditionally, black tea is served with afternoon tea and they pair great with tea sandwiches. If you’re looking for a black tea, I recommend whole loose tea like Ceylon or Darjeeling and you can’t go wrong with the a classic black tea blend like Earl Grey. 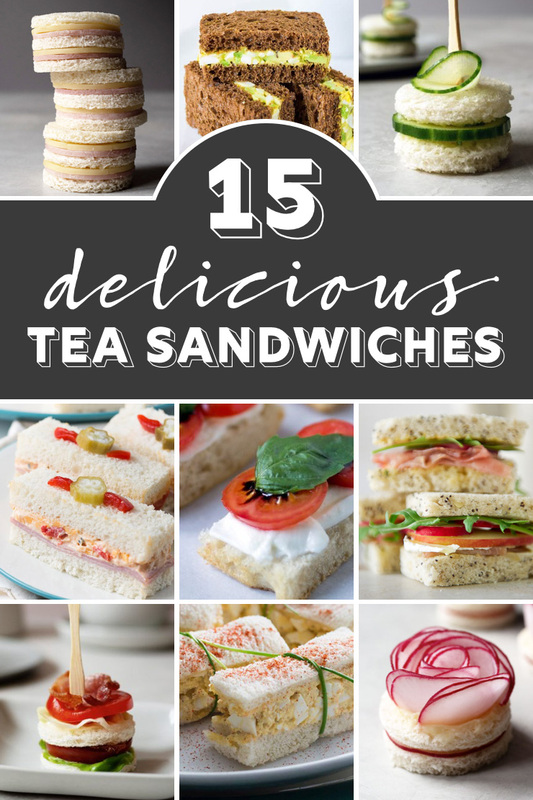 Here are 15 tea sandwiches to give you ideas of what to make for your next tea party. Serve with perfectly brewed tea and your guests will be raving! 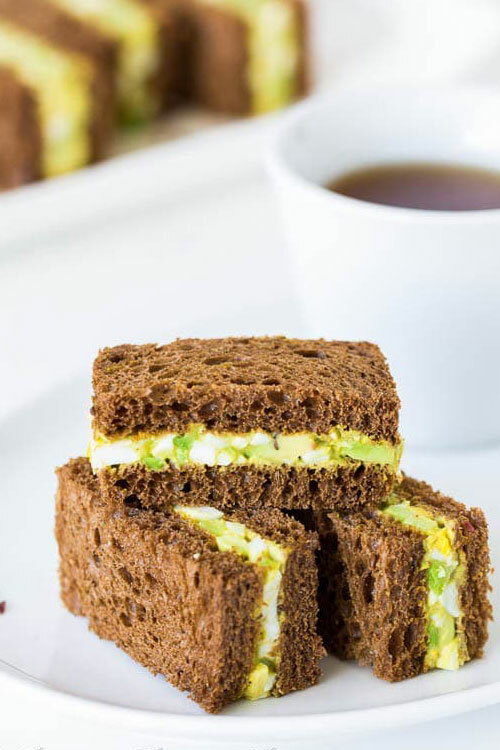 Classic cucumber tea sandwiches with chive butter. 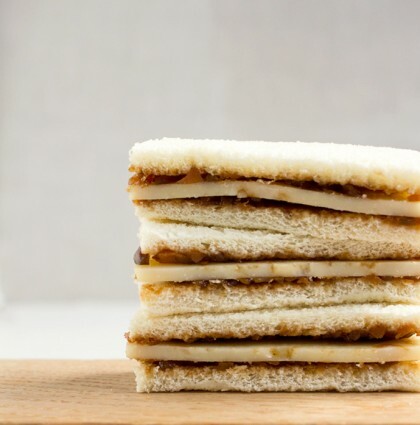 The two-bite sandwiches are easy to make and quick to assemble. 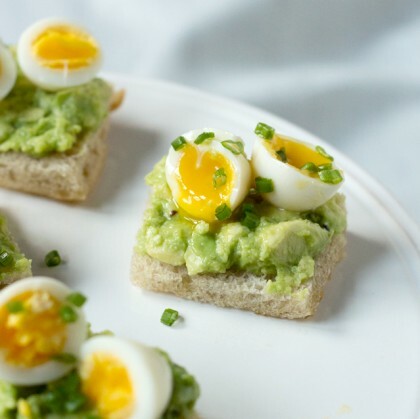 Super easy to make, these tasty small bites are great to make with kids. 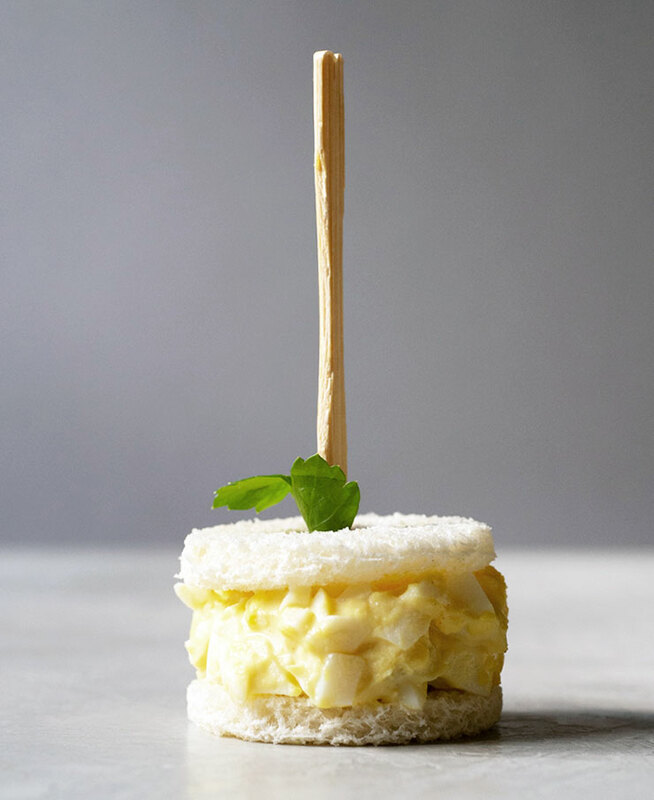 A delicious egg salad between two pillowy slices of white bread. The egg salad can be made a day ahead. 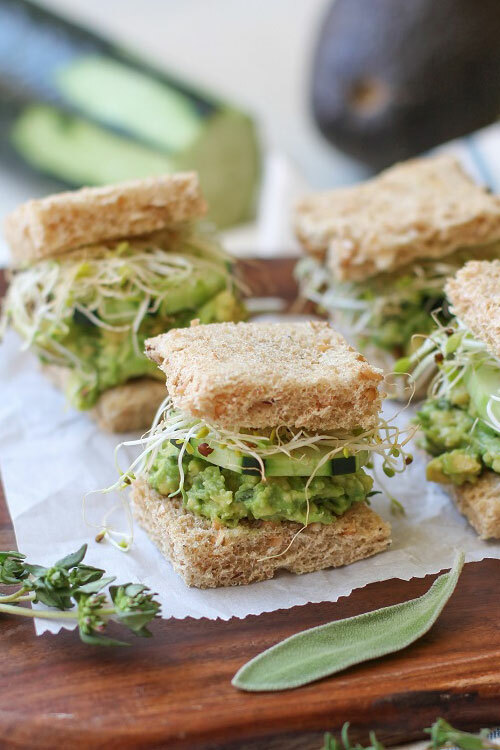 “Creamy avocados, hard boiled eggs mixed with sour cream, and a few hot spices and sauces” make up these adorable (and spicy) tea sandwiches. 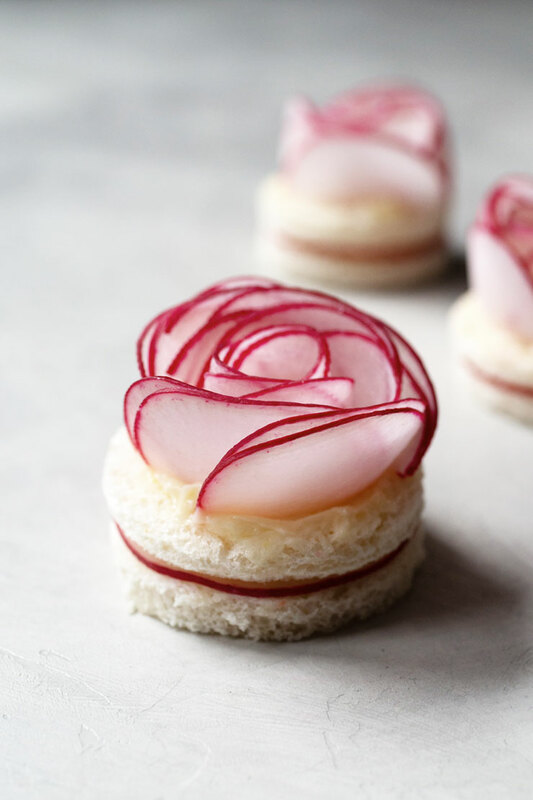 Make your next tea party Instagram-worthy with these radish rose tea sandwiches. 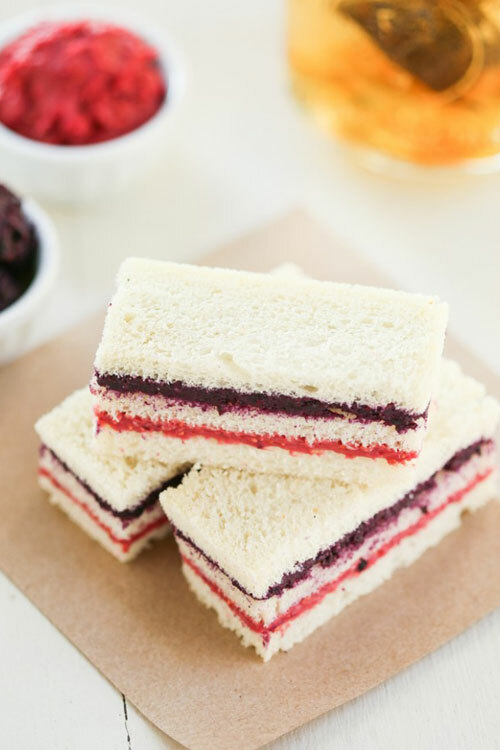 What sets these pretty treats apart from regular finger sandwiches is an extra layer of colorful filling and super thin-cut bread. 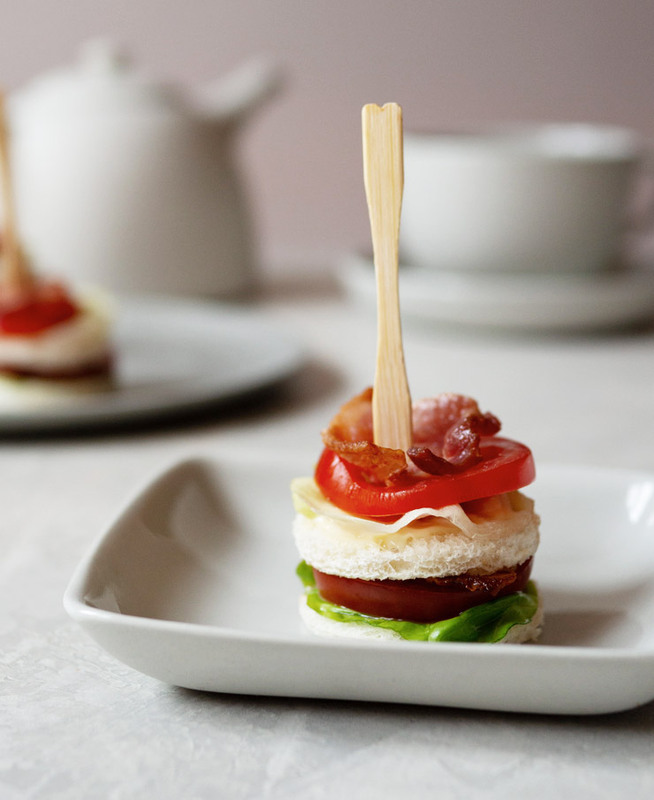 Bacon, lettuce, and tomato in an adorable stacked tea sandwich. 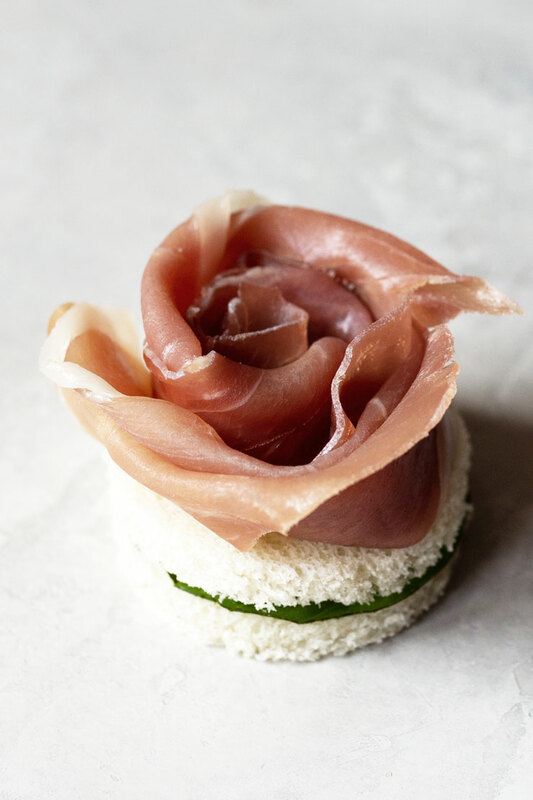 An easy-to-make prosciutto rose tops this tea sandwich with goat cheese and basil. 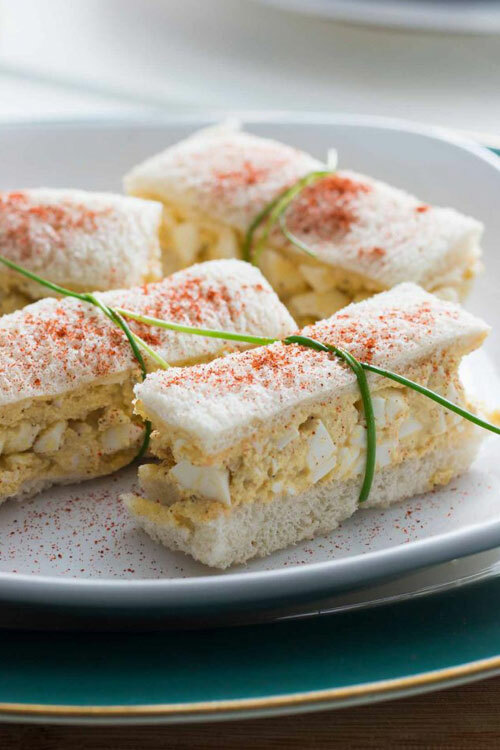 Classic deviled egg salad sandwich recipe with tips on how to prep them days ahead. An open tea sandwich with tomatoes, mozzarella, and basil.